Float up on the tide on a boat from Westminster Pier, which you can later re-board and ride down to Hampton Court Palace. Indulge in a leisurely lunch at one of the many riverside restaurants or settle down with a tasty pint at an historic pub. Packed to bursting point with parkland still replete with frolicking deer, Richmond is a delightful place for a stroll. The town's open spaces were famously the playground of Henry VII and thanks to its proximity to central London he built a palace here in 1497. Parts of the Old Palace are still visible, including the gate which stands in Old Palace Yard. 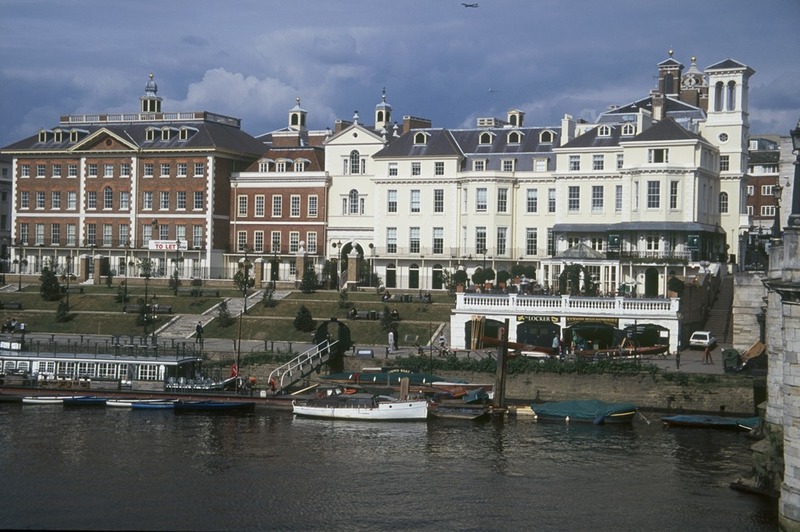 The rest of the buildings that line the riverside are equally stunning, incorporating classical styles of the 17th to 19th centuries. If it turns chilly, warm up with a visit to the Riverside Gallery in the Old Town Hall with its informative exhibition about the history of the area. What are the best dining options near Richmond Riverside London? Richmond Riverside gyms, sporting activities, health & beauty and fitness. The best pubs near London Richmond Riverside. Richmond Riverside clubs, bars, cabaret nights, casinos and interesting nightlife. Where to have your meeting, conference, exhibition, private dining or training course near Richmond Riverside. From cheap budget hotels to luxury 5 star hotels see our special offers for Richmond Riverside hotels, including Hilton London Syon Park from 0% off.